It was probably right around ten years ago, when I remember experiencing a deep longing for God, especially while in prayer. I was at a place where I had been seriously praying to know my vocation for a while. I brought these moments of longing to my spiritual director at the time. "What do they mean?" I remember asking her. "What is God calling me to?" I felt like God was very definitely calling me to a life of holiness. I wanted to know what that would look like. I wanted to take this deep longing for God seriously. "Am I called to religious life?" I asked her. I had always felt a draw to marriage, but if God was calling me to great holiness...well, certainly that meant religious life. Married life was too ordinary. My spiritual director (herself a religious sister) smiled knowingly, and told me there was no rush. She wisely said that we should wait about five years, and then if I then felt called to religious life, we could discern that more deeply. The following year I met Andrew. In that time of discernment, something I often prayed for was the grace to love as God loves. Kind of a lofty prayer (and, like praying for patience, is one of those God tends to take TOO seriously) but it was what was on my heart. I just wanted to love, the way that God had created me, personally, to love. Andrew was different than any man I had ever met. Our relationship was different than any I had ever had. With him, I could be completely myself. Not only did he respect that, but he was on the same trajectory. He had been praying to know his vocation, intermittently discerning the priesthood, and he wanted to live a life devoted to God. When we got engaged, we often ended our letters and emails to each other with, "I am so glad that you're the one I get to journey to heaven with." Engraved in our wedding rings was the motto of our marriage, "Totus Tuus Domine" - "All is Yours, Lord." We dreamed about our marriage, about our children, about how God would lead us. When I think back to those days of discernment, I realize that I couldn't have picked this vocation if I had tried. I didn't find Andrew, he found me. And with that, God basically handed me my vocation, wrapped in a love I didn't understand at the time. 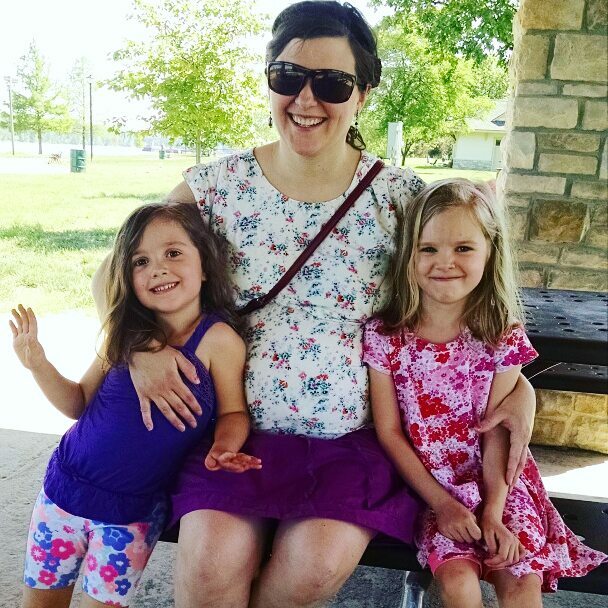 Four hyperemesis gravidarum pregnancies later, and I look back on those memories with a gratitude I couldn't have imagined. Andrew and I needed that time to fall in love with each other and God's plan for us. We needed to find deep peace to draw on when it felt like the cross was a bit too heavy. Although this is HG pregnancy #4, this particular pregnancy has stretched me in ways that I never thought possible. The HG has taken its toll, in more ways than one. Daily nausea since October has worn me down. My worst round of anemia yet has made me weaker than usual, and humbled again and again. My Zofran pump and sticking myself 1+ times a day has seriously tested my sanity. The weird thing about HG is that you literally go from being a perfectly healthy, normal young adult to being very sick for nine months, then - if all goes well! - back to perfectly healthy again (although the lingering effects of HG are very real, as my kidney stones and ongoing nausea after Maria's birth demonstrated). On the one hand, it makes me so much more grateful for my usual health. I've found myself in places and situations that I don't necessarily belong, that have given me a glimpse into the far greater suffer of others. I get deliveries from home health, had an iron infusion in the hospital's cancer center, and have received Anointing of the Sick three times this pregnancy. 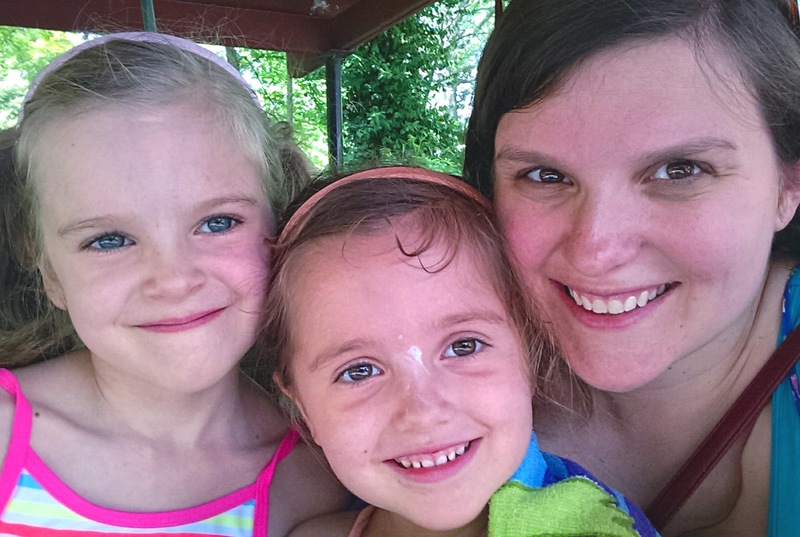 With each of these experiences, I'm grateful that "all that I have" is mild-moderate HG. I'm grateful that I don't have severe HG, at danger of losing my life and admitted into the hospital for weeks at a time. I'm grateful that I only had to go to the cancer center's infusion department for IV iron - not cancer. I'm grateful that I'm receiving home health for only a few weeks more...not for months to years more. I'm grateful that I don't have diabetes and have to wear a pump for the rest of my life. I'm grateful that I've received Anointing of the Sick to get me through the roughest patches of HG - not because I am preparing for death. But this gratitude doesn't remove the very real trauma of HG. It doesn't keep me from getting flashbacks to earlier in this pregnancy, when I was sobbing and praying that I would be able to find something to eat and drink that day. It doesn't take away from the weird mental distancing I've had to do to deal with my Zofran pump, its needles, the burning, and the large, painful welts I get from it. It doesn't take away the tears I sometimes cry at the end of the day, when I just want a break from feeling so miserably nauseous every day. But it is worth it. It is so incredibly worth it. I am glad that I've done it four times, and I will be more than willing to go through it again. And that sounds truly crazy, but it's true. The reason? And it's worth it because of her. And it will be worth it for any future children, too. I'm not sure which saint said this, but I heard this quoted on the radio this morning, during the replay of daily Mass, "Suffering is brief. Joy is eternal." I can't help but thinking that, if I (God willing) reach heaven one day, I will have wished that I suffered better, with greater love. I think I will be grateful for the opportunities I was given to suffer for love. "No greater love is there than this - to lay down one's life for a friend." I felt peace wash over me. This infusion and all the weird and unpleasant stuff I've dealt with this pregnancy aren't pointless. They are for love, love of a particular child. And this love in suffering, it is answering a prayer I prayed long ago - to learn to love like God. Still a long way from getting that down, but suffering in love for these four beautiful children of mine has changed everything. An IV of wonderful, wonderful iron! I'm not a saint. I hope to be one one day, but I'm still pretty far from it. Yet, I look at where God has led me, and at this vocation of mine - and I'm speechless by the ways it has made me grow in holiness. Holiness in religious life is possible, but God knew what I didn't know - that only through marriage and motherhood could I be stretched and pulled in the ways that I needed to be in order to grow closer to Him. 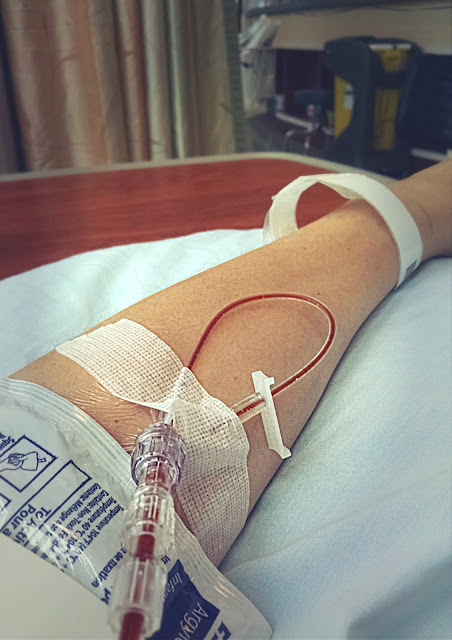 When the nurse was hooking up the IV for my iron infusion, I realized how familiar needles are to me, and tegaderm tape, and tubing, and the connectors between tubing, and even swiping an alcohol wipe on my skin before a shot. 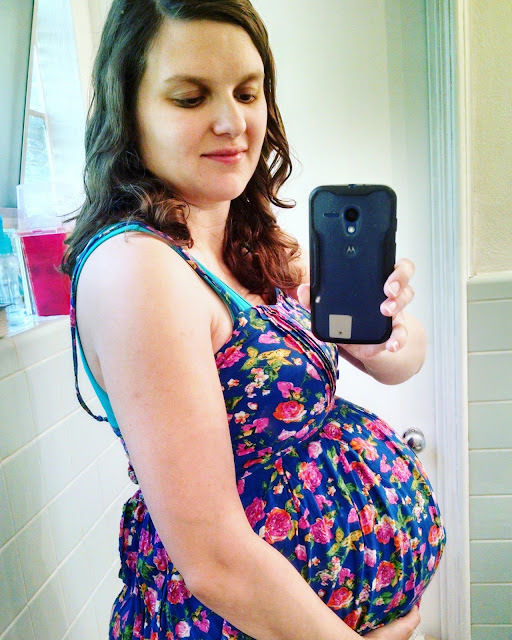 Because of my Zofran pump, those things are all part of my daily life this pregnancy. For a moment, that realization felt very strange. I never thought I'd be able to do something so medical, on a daily basis. But then, in the next moment, the line from the Gospel popped into my head, "There is no greater love than this - to lay down one's life for a friend." My daughters (and my baby son in heaven) aren't merely my friends - they are my sisters and brother in Christ. They are people I love immensely. And they are people that I am glad to suffer for. I just look at my two oldest children living their lives - dancing and singing and playing and learning - and realize how little my suffering was in comparison to their lives. 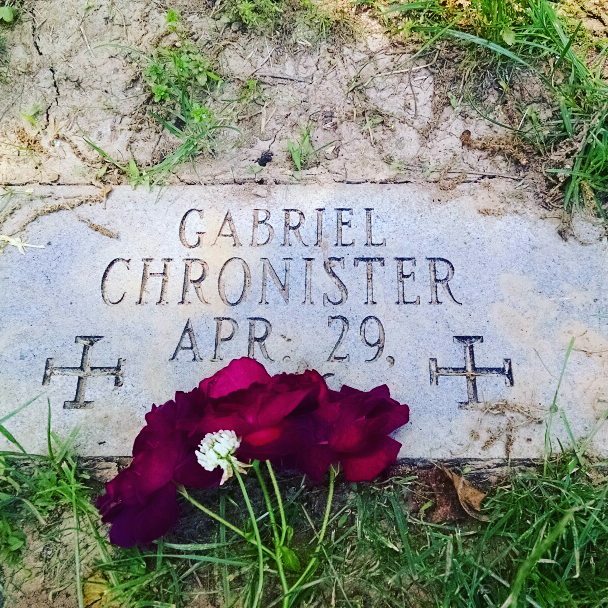 I don't know what my Gabriel's life looks like now - but I hope and pray it is a life spent experiencing the beatific vision. I hope it is a life surrounded, eternally, by love. How could the little suffering I endured for him to exist compare to that reality? I feel the kicks and rolls and wiggles of my youngest daughter, see her daddy's face light up when he feels her foot press back against his hand, see the delight on her sisters' faces when they get to feel her kick or hear her heartbeat, and already I know she is worth it. Her life matters. In view of the amazing reality that is my baby daughter, my suffering seems like a very little sacrifice. A dear, dear friend of mine (who is a religious sister) has been one of the people who has kept me going this pregnancy. Every time she sees me, there is a deep joy and gratitude in her eyes. She has prayed for me and baby every step along the way. When I saw her recently, she told me, with tears in her eyes, "I always said that I would do anything for love. You've shown me what that means." But I want to protest, "It's not me! It's all grace, don't you see??" Because I still lose my patience with my children, I still complain about this stupid daily nausea, and I'm still not as loving and selfless as I could be. But, you see, God is teaching me to love in suffering in the easiest, gentlest way possible. He has given me a cross that looks heavy, but is really very light in comparison to so many other people's crosses. Because suffering is awful, but suffering in love is so much easier. I still feel miserable. I'm sure I'll continue to complain, and be cranky, and lose my patience. But one look at these faces, and I know that this suffering is like nothing. It's not because of the delight they give me (although they do fill me with delight). Losing Gabriel broke my heart, and the life of a mother is filled with many little sufferings and separations. The joy they bring me is not because they bring me fulfillment - it is simply the delight of knowing that I've been allowed an opportunity to play a role in their stories. I don't know yet where God will lead them, but I am grateful to be able to play a role in their stories. Therese, Maria, Gabriel, and this baby...their lives (in this life and the life to come) are of immeasurable worth. Beautiful! Everything about this is inspiring. I will keep in mind the quote, "Suffering is brief, Joy is eternal" because it's so wonderful! It makes me feel the same way, "All things are passing, God never changes" does. Both quotes remind me that we are meant for more. What a wonderful post. You are an inspiration as we struggle through infertility.